Wet ‘n’ Wild Fire (LE, $6.99) is more shimmery, warmer (85% similar). 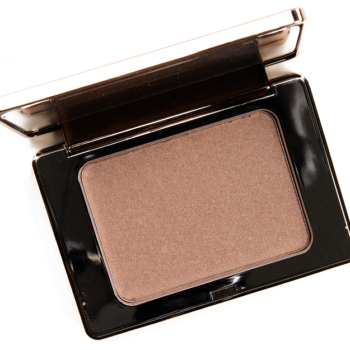 The formula is supposed to give a “glowing and healthy texture to the skin” that can be used on the “face and body.” It is designed to be a subtler highlighter, and I think it absolutely delivers on that. If you want a skin-like glow–dewy but not wet or oily–that gives a soft sheen, a bit of lightness, and never emphasizes skin texture, this formula definitely does that. The powder had a very smooth, almost velvety texture that was denser, more firmly-pressed without becoming stiff (but no powderiness either). It applied evenly to bare skin and blended out easily. They lasted between eight and nine hours on me before fading noticeably.